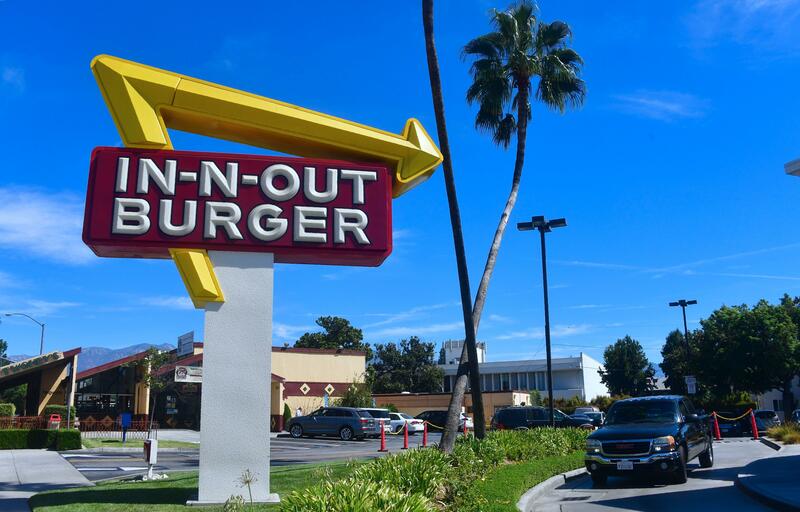 IRVINE, Calif. — The West Coast's most famous burger chain is facing calls for a boycott from the chairman of the California Democratic Party over a contribution to the state's Republican Party, CBS Los Angeles reports. In-N-Out donated $25,000 to the California GOP on Aug. 27, according to a public filing. In a statement Thursday, In-N-Out Burger's executive vice president Arnie Wensinger said the company "has made equal contributions to both Democratic and Republican Political Action Committees in the State of California" in 2018. Eric Bauman, the chairman of the California Democratic Party, took to social media Wednesday night to call for a boycott in response, writing, "Et tu In-N-Out?" Long considered a conservative-leaning fast-food chain known for printing Bible verses on its packaging, Irvine-based In-N-Out has donated roughly $30,000 to state Republicans in both 2016 and 2017, according to CBS Los Angeles. In 2018, the chain has also contributed $50,000 to Californians for Jobs and a Strong Economy, a pro-business, political action committee founded by Democratic operative David Townsend, according to Fortune. "For years, In-N-Out Burger has supported lawmakers who, regardless of political affiliation, promote policies that strengthen California and allow us to continue operating with the values of providing strong pay and great benefits for our Associates," Wensinger, the In-N-Out vice president, said in Thursday's statement. "While it is unfortunate that our contributions to support both political parties in California has caused concern with some groups, we believe that bipartisan support is a fair and consistent approach that best serves the interests of our company and all of our Customers," Wensinger added. Amid the boycott call from Bauman, the Democratic chairman, some on the other side of the aisle showed their support for the burger chain. "Two please," tweeted Antonio Sabáto Jr., a Republican who is running for Congress in California.